A growing body of concerning research indicates that conventional medicine’s standard of care for type 2 diabetes, including synthetic insulin and oral anti-diabetic drugs, may actually increase morbidity and mortality. On the other hand, recently validated traditional approaches relying on plant-based medicines may greatly mitigate the global diabetes epidemic. A highly concerning study published in the journal Diabetes, Obesity and Metabolismtitled, “Glucose-lowering with exogenous insulin monotherapy in type 2 diabetes: dose association with all-cause mortality, cardiovascular events, and incident cancer,” adds to a growing body of research indicating that administering genetically engineered insulin to type 2 diabetics greatly increases their risk of all-cause mortality. The Diabetes, Obesity and Metabolism study enrolled 6,484 subjects with type 2 diabetes who were eventually given progressed insulin monotherapy from 2000 onwards and who were tracked for an average of 3.3 years. The adjusted hazard ratios (a measurement of health risk) in relation to one unit increases in insulin dose were a 54% increased risk for all-cause mortality, 37% increased risk for Major Cardiovascular Events, and a 35% increased risk for cancer, clearly indicating that the insulin they were given were both cardiotoxic and carcinogenic. Probably the most fatal error in the field of molecular biology over the past half century is the hypothesis known as the central dogma (1956, Francis Crick) that all biologically/physiologically important information is located solely in the primary sequence of nucleic acid stored within the 3 billion base pairs that make up the DNA of our genome. According to this theory, when a complex protein like insulin is produced, RNA simply transcribes the information templated in the DNA to produce the structure of insulin: the insulin polypeptide (51 linearly attached amino acids), end of story. In order for a protein to assume its native, functional state (e.g. the insulin molecule in its fully folded 3D configuration) it must move through a practically infinite number of potential three-dimensional forms that it could randomly fold into to reach its natural (native), perfect form. This remarkable fact is known as Levinthal’s paradox. How does insulin, or any complex folded protein, get the information (literally ‘to put form into’) to do so? We simply don’t know. But what we do know is that it must come from the ‘outside,’ or ‘above,’ which is what the field of epigenetics is dedicated to understanding. Also, it means one can not construct from the ‘bottom up,’ as the pharmaceutical industry has attempted thus far, the thing itself. In other words, we know that while genetically modified yeast or bacteria can produce a primary structure of 51 linearly connected amino acids similar to human insulin, it does not have the same secondary, tertiary and quaternary folding patterns and therefore can not perform the same functions in the body as the natural form. This could account for why insulin replacement and/or adjunct therapy, even though it may effectively lower blood sugar (the target determinant for drug efficacy), is still associated with increased morbidity and mortality. Said differently, for insulin replacement to work when there is a clear need (e.g. death of insulin producing cells), that is to say, for it to have a net health benefit, it must contain the correct information not only on the primary structural level, but on secondary, tertiary and quaternary levels of folding (conformation). Only the miracle of the human body, and as a close surrogate – porcine insulin — can produce the necessary, life sustaining and promoting end product. What Is A Diabetic To Do? Our ongoing indexing project here at Greenmedinfo.com has identified a wide range of natural interventions that have shown promise through experimental, clinical and epidemiological research. 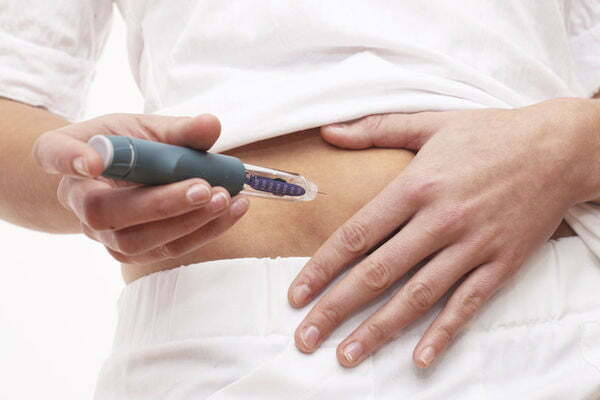 First, our Health Guides section on Blood Sugar Disorderscontains both the relevant research abstract sections, as well as article written for the layperson and medical professional to better ascertain the implications of the first-hand literature on complementary and alternative (CAM) approaches to blood sugar disorders. Of the dozens of relevant subtopics, our Type 2 Diabetes page contains over 350 study abstracts on over 180 natural substances studied to have therapeutic relevance to prevention or treatment of the condition. This section includes research on over 40 problem substances, e.g. statin drugs, pesticides, fructose, which contribute to worsening the condition, and 18 Therapeutic Actions, e.g. yoga, various dietary modifications, exercise, which prove that lifestyle changes can have deeply positive impacts on the condition. 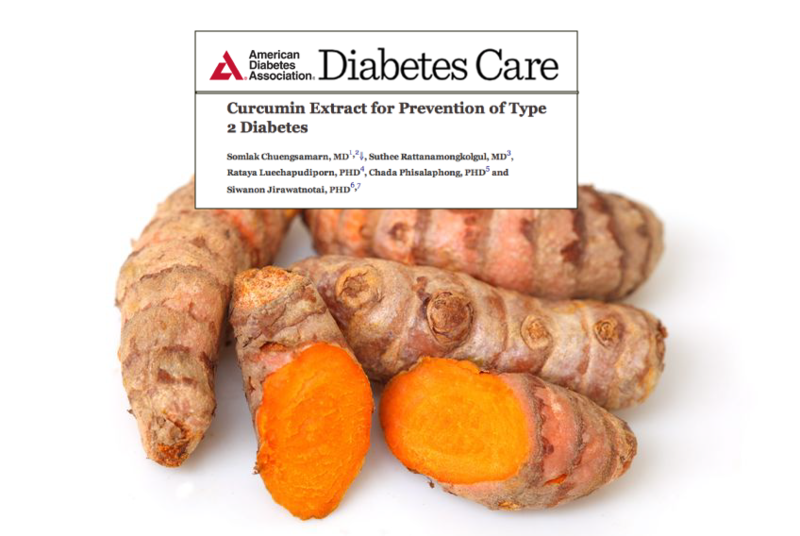 This research includes highly compelling studies, such as one published in 2013 in the American Diabetes Association’s own authoritative journal Diabetes Care which found that a turmeric extract (curcumin) was 100% successful at preventing pre-diabetic patients from becoming diabetic over the course of a 9-month intervention. If a simple spice-based intervention can prevent the development of a life-threatening disease afflicting hundreds of millions worldwide, this is could be considered one of the most important medical discoveries of our time. Even more profound is the fact that the turmeric extract curcumin has been identified to have over 600 side benefits, with a history of thousands of years of safe use as both a food, spice and medicine. Consider also that newly diagnosed type 2 diabetics are almost universally prescribed oral antidiabetic medications that have now been shown through extensive meta-analyses of the extant literature to increase heart attacks by 43% and increase the risk of dying from heart disease by 64% versus placebo. Pharmaceutical interventions clearly appear — through the scientific evidence itself — to be oftentimes worse than the diseases they appear to be treating. As interest in botanical interventions increases, we see almost weekly a new clinical study appear showing the value of traditional medicine in preventing or treating chronic diseases like diabetes. For example, a new study published titled, “An 8-wk, randomized, double-blind, placebo-controlled clinical trial for the antidiabetic effects of hydrolyzed ginseng extract,” found that so-called pre-diabetics with impaired fasting glucose responded to a ginseng extract by seeing a drop in fasting glucose levels and post-meal blood sugar elevations. We won’t see the pharmaceutical industry invest the between 1-12 billion dollars of capital required to obtain FDA drug approval for turmeric or ginseng extract in correcting the condition of type 2 diabetics because natural substances are not patentable. While mother nature’s formulas are proprietary — meaning, refractory to scientific understanding due to the infinite complexity at play within nature — they do not lend themselves to being patented, or controlled by any particular entity. This is why we must educate and empower ourselves with the research freely available through tax-payer funded resources like pubmed.gov, and of course sites like ours that use an open access model. All 37,000 of our carefully organized abstracts are free for anyone to access publicly. Curcuma is the best there is, and lose weight 🙂 you dont need medication. but that is for me, I dont know what other people think about that.